October 2, 2016. Vermilion's 44th WOOLLYBEAR Festival. Great weather for all Kids, Bands and Parade participants. 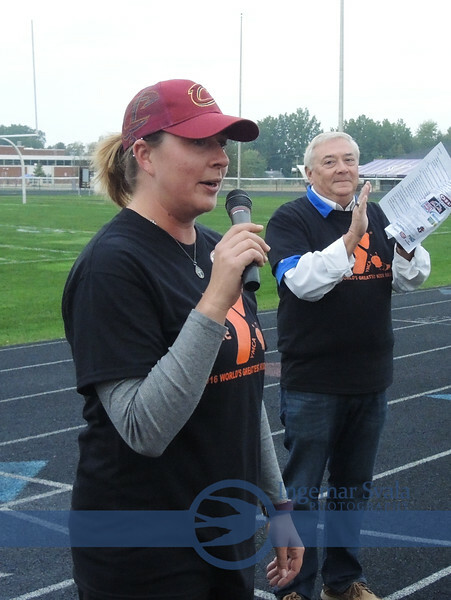 Charity Butch, Vermilion Y Director with Emcee "Voice of Vermilion" Cliff German in background.